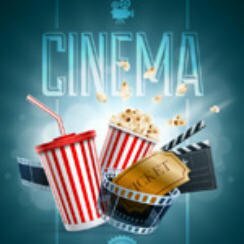 Popcorn Cinema Show takes a look at the weeks movie releases (22nd January 2016) for the UK, US, Australia and New Zealand at the cinema, along with film trailers. The Big Short starring a strong cast gets it’s UK release this Friday. So it appears that BBC films is making a Laurel and Hardy biopic starring Steve Coogan as Stan Laurel and John C. Reilly as Oliver Hardy. The film will show the comedy genuises at the end of their careers whilst on their final tour of the UK in 1953. The Hollywood Reporter report that X-Files creator Chris Carter has written a third X-Files movie. However it’s not yet been greenlit and no more episodes have yet been commissoned by Fox. No doubt they are waiting to see how the current set of six new episodes does. When an American nanny arrives in a remote English village to take up a position she is somewhat shocked to find the family’s boy is actually a life-sized doll. She is given a list of strict rules regarding his care, however after violating the rules some disturbing events occur making her believe that the doll is really alive. Following four waves of attacks on the Earth have left it devastated. Cassie is out to save her brother enlisting the help of a young man. That’s not her only concern as has to prepares for the impending fifth wave. Four guys on outside of high finance come together as they predict the global collapse of the economy, with idea of taking the banks on and profiting from the collapse. Ben and James are sent Miami to work on a case that involves the mysterious drug lord Pope. So there are your movie releases this week, we would say the two films that may be of interest are The Big Short and The Boy and if you are in Austraila or New Zealand it’s has to be Quentin Tarantino’s The Hateful Eight. Cinema Releases 22 February 2019: Ready for Neeson’s Cold Pursuit?